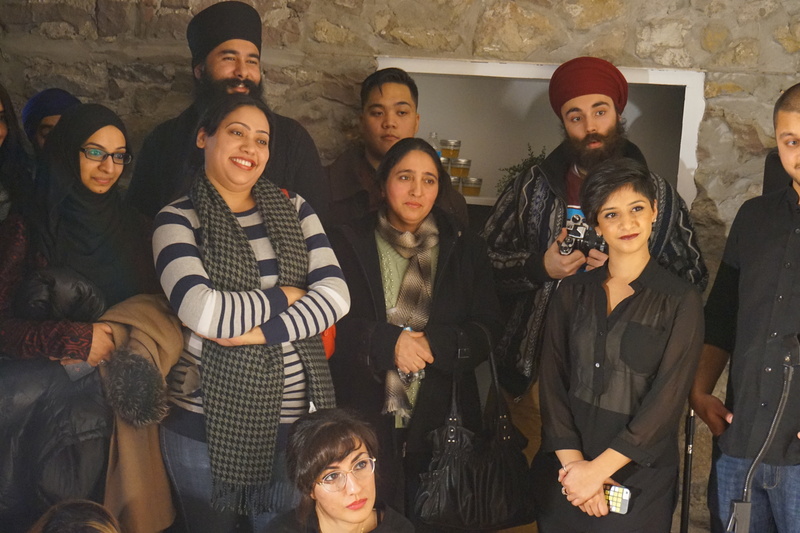 On the cold Friday evening of January 9th, Lab-B opened its doors, as lovers of art and poetry poured in to experience the launch of Milk and Honey, written by Rupi Kaur. 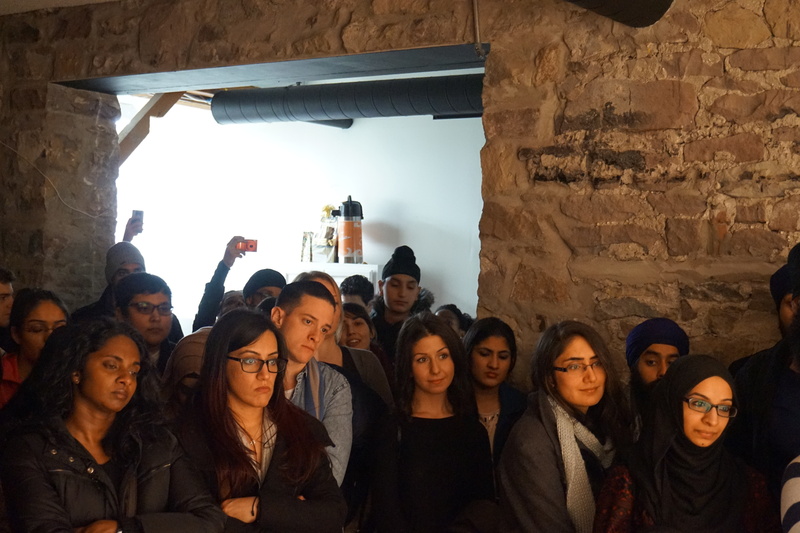 Rupi Kaur is a young, talented spoken word artist and poet based in Brampton. Upon entering the room, we were welcomed by soft lights and soothing music, giving the atmosphere a cool and comforting touch. 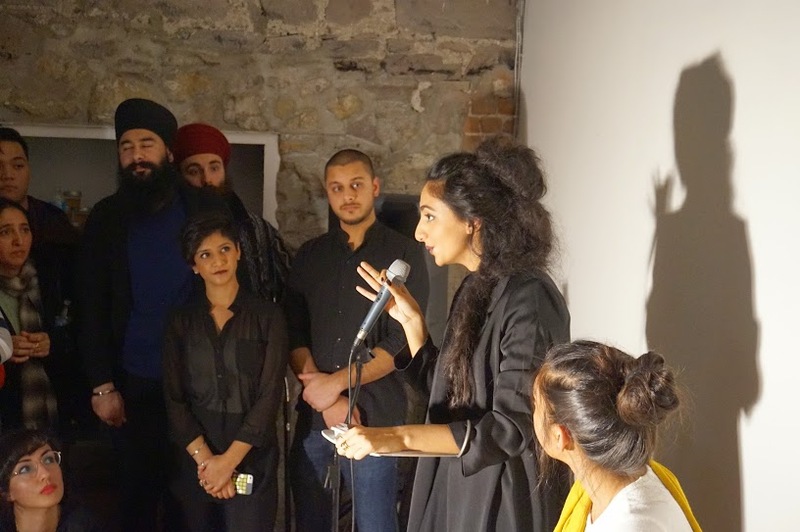 The surrounding walls showcased some of Rupi’s beautiful poetry along with a series of photographs by the talented Baljit Singh. Milk and honey takes readers through a journey of the most bitter moments in life and finds sweetness. “I took the feelings and thoughts I had while reading the book and combined it all, making this series-encompassing what I felt was milk and honey,” wrote Baljit on her blog. Milk and Honey is a collection of poetry and prose that shares the experience of violence, abuse, love, loss and femininity. We then had a chance to meet the very talented Rupi Kaur herself, as we exchanged hugs and she left thoughtful messages in the books she signed for us. The program commenced as the host for the evening, Kiran Rai, started off with an introduction of Milk and Honey, followed by a beautiful song by Keerat Kaur. Up next, we had a local duo Selena Dhillion, accompanied with music by Daysdeaf. Immediately after, Rupi took to the mic, as she passionately and beautifully shared some of her work and answered questions from her fans. Brampton needs more of this. If it’s not obvious from the pictures, the room was jam packed. You could not move even if you wanted to. But that’s a good thing because Brampton needs to back up it’s local artists like this at every event. Milk and Honey is an amazing read for those who enjoy good poetry; the words are strung together in a beautiful manner. Each page is an experience of raw emotions and feelings that will leave you wanting to read it over and over. Milk and Honey is an amazing read for those who enjoy good poetry; the words are strung together in a beautiful manner. Each page is an experience of raw emotions and feelings that will leave you wanting to read it over and over. We wish Rupi Kaur all the best of luck on this journey and look forward to enjoying more of her work.